When does the thyroid gland develop in an embryo? Thyroid gland is formed from endoderm very early in embryonic life. 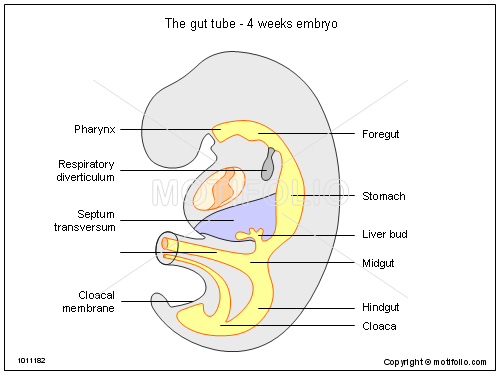 Very early embryo exhibits three germ layers in the body: Ectoderm, Mesoderm and Endoderm. 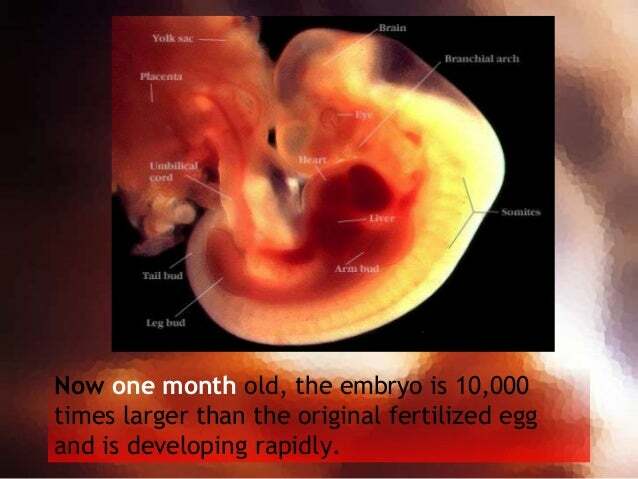 A four week old embryo has an already beating heart. You may have an idea what they look like from outside and inside from the following pictures. In the above diagram, the yellow parts are endodermal in origin. You may see a respiratory diverculum: it will later give rise to trachea and lungs. The pharyngeal walls of this early embryo would soon give rise to structures which would later differentiate into thyroid, parathyroid and thymus glands. The thyroid gland would descend to its ventral location by 7th week of pregnancy. By 13th week of gestation the thyroid gland is completely formed.